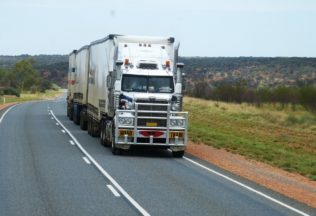 Coles has invested $60 million into 395 new transport trailers which will be used in New South Wales and Western Australia. The trailers are supplied by one of Australia’s largest trailer providers, MaxiTRANS. The deal is considered one of the nation’s largest contracts of its kind. Over 100 jobs are expected to be created from the contract with the trailers to be assembled in regional Victoria. Chief Executive Officer of MaxiTRANS, Dean Jenkins, described the contract as a tremendous show of support by Coles in regional Australia. “At a critical time for local automotive manufacturing, the order will offer employment prospects to many Victorians,” he said. Coles Head of Transport, Tony O’Toole, said Coles is always looking to strengthen its relationship with local suppliers. “Coles is pleased to be able to support the creation of jobs in regional Victoria through this partnership with MaxiTRANS,” he said. MaxiTRANS is listed on the Australian Securities Exchange (ASX). The company said the new contract will not be shown in its 2017 financial year results but will instead be reflected in its 2018 financial year results. The introduction to Australia of self-service checkouts in 2008 promised faster checkout. Aldi has opened its 25th store in South Australia. COULD genetic mapping allow allergy sufferers to enjoy peanuts without risk of anaphylaxis?